Give the gift backed by The Forever Guarantee. 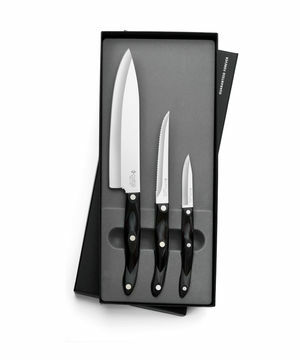 Expertly selected knife and gadget gift sets. Gift sets include elegant gift boxes. Engraving and gift wrapping available. 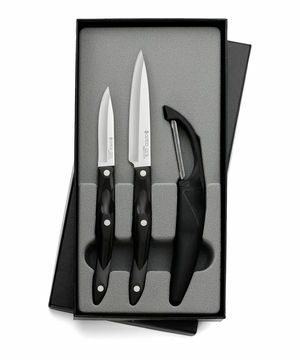 $274 Includes 7-5/8" Petite Chef, Trimmer and 2-3/4" Paring Knife. 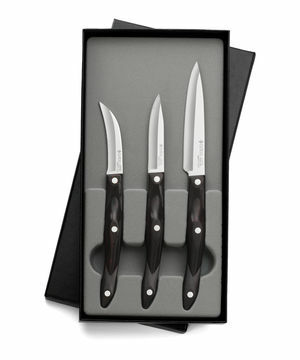 $199 Includes 4" Paring Knife, 2-3/4" Paring Knife and 2-3/4" Bird's Beak Paring Knife. $175 Includes Turn n' Serve, Professional Spatula and Slice n' Serve. 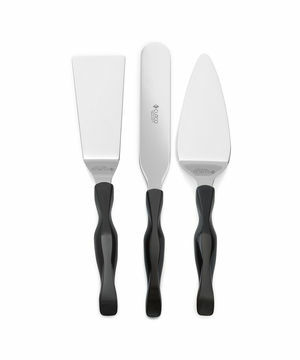 $210 Includes 2-3/4" Paring Knife, Trimmer and Spatula Spreader. 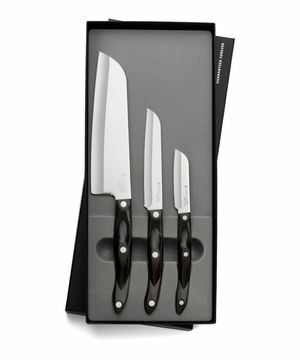 $285 Includes 7" Santoku, Santoku-Style Trimmer and Santoku-Style 3" Paring Knife. 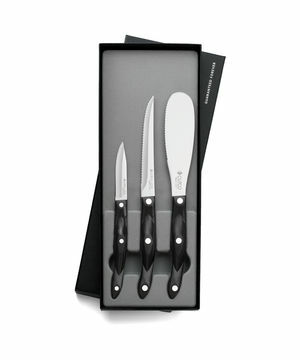 $174 Includes 4" Paring Knife, 2-3/4" Paring Knife and Vegetable Peeler. Vegetable Peeler available in black only. 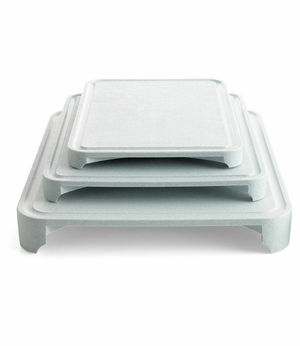 Set Savings of $8 $79 $87 if items purchased separately Includes Small, Medium and Large Cutting Boards. $176 Each piece in this 3-pc. set is designed with an extra long handle to keep your hands away from the heat. 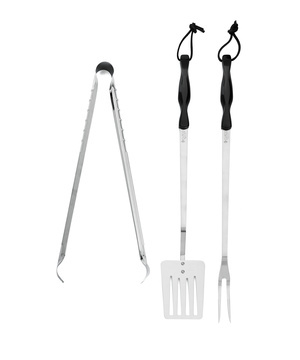 Use the pieces in this set to cook hot dogs and sausages, flip burgers, ribs and shish kabobs.